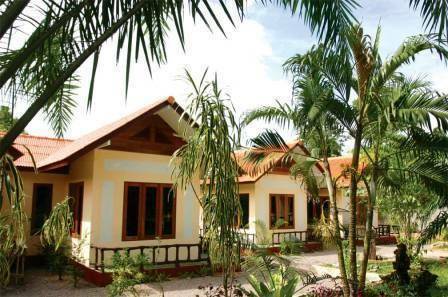 Located in a quiet section of Ao Nang near the National Park, the Happiness Resort offers brand new, spacious bungalows, set amongst a lush, tropical setting. Only 2 minutes drive from Nopparat Thara Beach and 5 minutes from bustling Ao Nang town, each bungalow boasts a separate bedroom, bathroom and living room and as such offers an ideal residence in which to relax after a day enjoying the wonders of the Krabi area. The resort provides a perfect base from which to take a day trip on a longtail boat and explore the many islands such as Poda, Hong, or Phi Phi. Scuba diving is another popular activity as is rock climbing at nearby Railay Beach. Or if you just want to take it easy, take advantage of the many bars and restaurants lining the beachfront or just chill on the beach. 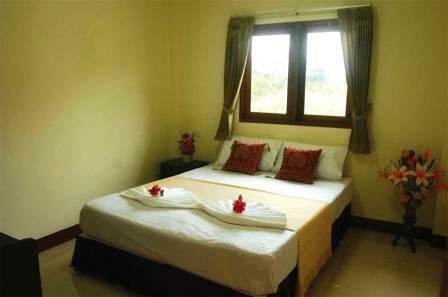 All bungalows come with seperate bedroom, bathroom and living room. 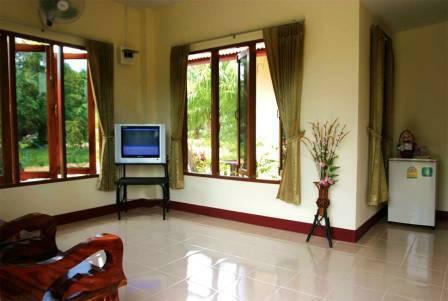 Satellite TV and bar fridge in the living room. Double bed and wardrobe and drawers in bedroom. 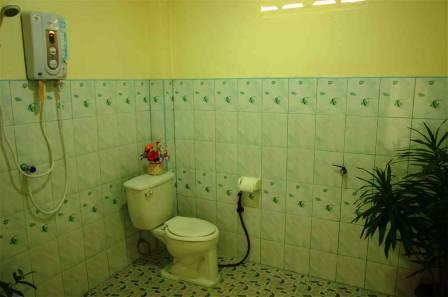 Bathroom is huge with hot water soap and shampoo. Payment of balance on arrival. Cancellations require 48 hours notice or 1 nights accommodation is charged. No shows will forfeit all of balance. 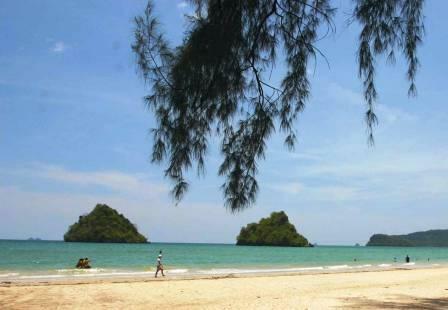 Krabi is located about 900 km south of Bangkok and 190 km east of Phuket. From Bangkok there are many daily flights to Krabi International Airport. Buses and trains can also be taken. From the airport or Krabi town, buses and taxis are available to Ao Nang, taking 20-25 minutes. Once in Ao Nang, you can get a motorbike taxi. 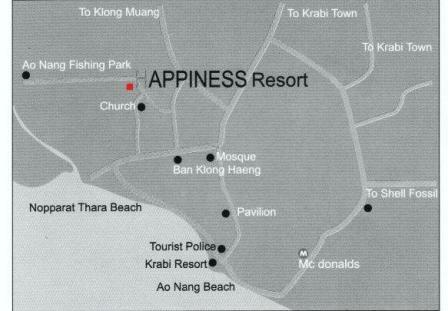 The resort is located near the Catholic Church on the same road as the Ao Nang Fishing Park (please refer to map).